Parenting books intrigue me. I have several of them scattered on shelves and in drawers throughout my house. I think it’s because I’m very aware of some of my parenting pitfalls, so I need all the help I can get. Also my heart tells me it’s one of the most important jobs I will ever have on this planet: parenting. Let’s be honest. Most of the books leave me making a parenting “plan of action” that ultimately stresses me (and my children) out more than I was before I started reading them. 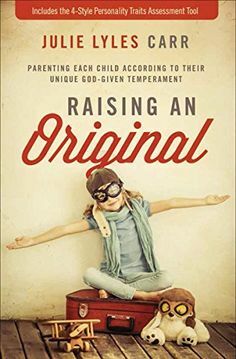 However, the new book Raising An Original brings me a sort of “parenting peace.” It reminds me the job should focus on bringing up children who discover their part in God’s purpose. In order to do that, we must give ourselves permission to see the the original interesting parts of our children and ignore the cultural clutter that we allow to define them. It’s not an easy task, but author Julie Lyles Carr provides us with some thoughtful tools to use throughout our parenting journey along with some laugh out loud moments from her personal story. I recently met Julie for a cup of coffee and a discussion about her book. But I don’t write book reviews. I write stories about people. And I found Julie to be one of the most inspirational, down to earth and funny people I’ve ever met. She is a speaker and nationally known blogger. 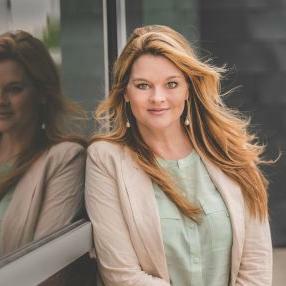 She leads women’s ministry at her church, LifeAustin, in Austin, Texas. She is the founder of a nonprofit group serving families with special needs. Oh, and by the way, she has 8 children and has been married to her husband, Michael, for twenty-seven years. Now she’s a published author of a book that might just change the world. One family a a time. Julie told me she hopes Raising An Original will help parents gain a new profound respect for their children. “Parents get focused on what they’re supposed to see and don’t feel permission to see the interesting things about their child,” said Julie. “Our kids just seem a mystery to us.” It’s a trend she has seen in her years teaching parenting classes. 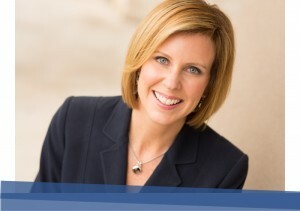 Julie majored in psychology and has years of parenting experience of her own. She writes those parenting stories on her blog and shares them with audiences when she speaks. Raising An Original took more than five years to get published. “It has been a weird scenic drive,” said Julie. In the book, Julie describes how we as parents get trapped in what she calls “tangles” that may prevent our children from being the “originals” they were born to be. I underlined a lot of lines in the book to re-read later. Below are some of my favorites. The second half of the book contains a personality assessment tool that Julie says in no way in an exact science, but it may help parents take a closer look at what makes their children originals. I haven’t put my children or myself through the evaluation yet but have made a promise to take the time and work through it. I figure, even if I don’t learn anything new about my children in the assessment, Julie has already given me a huge gift. A reminder to look at my children through His eyes. Not as an 11 year old, a third grader, an A student, a tennis player, a dancer or Leslie’s kid. If we can see more clearly what makes our children true originals, we can celebrate that originality in others and ultimately fulfill God’s (the true Original’s) plan.